Secret Company are a band with an agenda. The four lads from Chelmsford are determined, spirited and ready to take on the world. We are on a mission. says guitarist James Patman. We want our music to be heard. We are highly ambitious and are striving for the heights. We want to create awareness about this band because we love what we do and we're prepared to work so hard to make that happen. 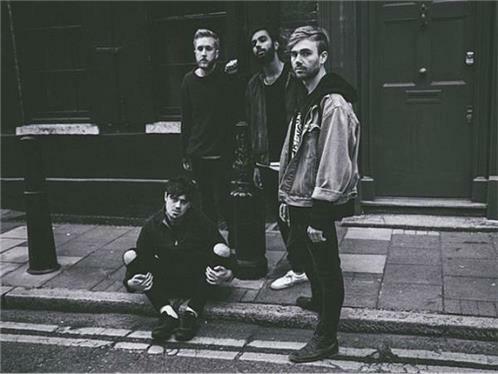 Secret Company - James, singer Scott Revell, bassist Kushal Gupta and drummer Tim Reyland formed in 2012 when Scott and James began writing songs in James' back garden shed. Wed all been flitting between bands as teenagers, you know messing around and playing covers, says Scott. James, Kushal and Tim all went to the same senior school though were in different years. Tim and James decided to get together with another friend of James as the singer and that band stayed together for four years. But, adds James. Wed see Scott at various local gigs and he was a great frontman. We were a huge fan of his band and thought he was cool. Tim laughs: I actually freaked out about Scotts band as I thought they had these brilliant, well-constructed pop songs and it was obvious that Scott could sing. They were a brilliant band but Im glad we nabbed him. It wasnt just Scott who was making his name locally. James had enjoyed minor success with Sirens Sirens, who became Love Letters a pop punk/rock outfit signed to Atlantic Records and who had also supported Las Vegas band Panic! At The Disco. I learned a hell of a lot from being in that band, he says. Mainly from being in the studio. We shared a studio with Rudimental and I spent about 18 months there. I spent a lot time with Amir from Rudimental. And also Plan B and Example. That time was a real learning experience for me. Then I bumped into Scott who gave me a CD of his songs and I liked what I heard. We started working together and I thought we could do something on the side to our then band. But the songs we were writing together sounded pretty awesome after a while. And that was it. Secret Company share a love for glorious melodies and their shared influences include Jeff Buckley, Fleetwood Mac and Paul Simon, The Killers, Supergrass, early Kings of Leon and John Mayer. And juggling daytime jobs with making music proves how much they are willing to sacrifice for the band. "We're always straight down to the studio after work, staying up all night working on a song" says Kushal. I dont think many people could stick it out like we have. Its hard work but we believe in this band and love what we're doing"
I think its our hard work ethic that sees us through, adds Scott. We knew the songs we were writing, the sound we were creating was good. We worked on a song that would be 'Saviour and it spiralled from there. We spent ages perfecting our sound and weve learned and grown together as musicians. The beautiful 'Saviour was the first single from their debut EP. A song thats driven by soaring anthemic vocals which capture the yearning and striving in the soul of this band. Skittering drums and shimmering synths give the song a magical feel. The band have worked with James Yuill who produced and mixed 'Saviour. He definitely did bring something new to the table, says Tim. When he came back with the mix, it was the closest to what we wanted. He added a little bit of oddness to it although the song is odd already - in a good way. The band also worked with Dan Smith from The Noisettes on that EP who mixed 'Fever of Love. 'We really liked working with Dan too says James. 'Hes been there, seen it, done it and a band like ours will only benefit from working with someone like him. I think as a band, we fit in well with todays music, says Scott. Were a guitar band with great songs. Good bands like The Black keys, Arcade Fire and Arctic Monkeys are doing well and theyre not just about guitars. They like synths too and play amazing live shows. I think were a great live band too and theres nothing like seeing people vibing off great live music. Thats what its all about. 2015 ended on a high with the band playing live on E4's hugely successful TV show 'Made In Chelsea' plus starting the recording process for their debut album. With a dedicated following through Facebook, YouTube and Twitter, Secret Company are looking ahead to playing live throughout 2016 and this year has already seen them support Coasts and Eliza and The Bear on tour. Add to this a busy summer over the festival period and it's safe to say these boys won't be a secret much longer.